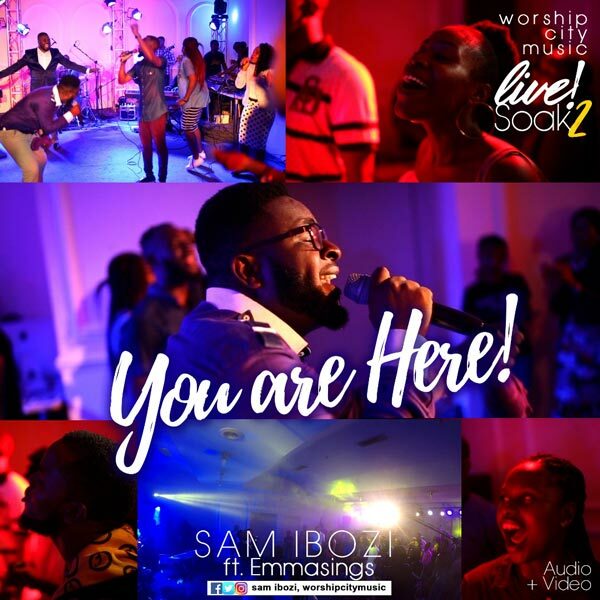 Brand new tune Sam Ibozi – You Are Here Ft. EmmaSings. The song You are Here was recorded live in Abuja & its from the series of live worship concert labelled Songs of a Kind (SOAK). You Are Here” is a song of boast, we boast in the ability of our God! When He shows up in any circumstances, there is a shift, a change & a turn around. When God steps into an atmosphere the supernatural starts to happen. You are Here is a prove of Isaiah 41.10, Don’t be afraid, for I am with you. Don’t be discouraged, for I am your God. I will strengthen you and help you. I will hold you up with my victorious right hand.